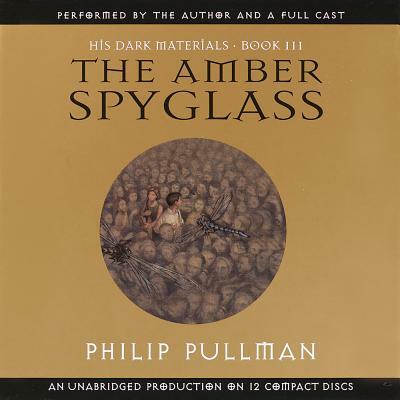 The Amber Spyglass brings the intrigue of The Golden Compass and The Subtle Knife to a heart-stopping end, marking the final volume of His Dark Materials as the most powerful of the trilogy. Along with the return of Lyra and other familiar characters from the first two books come a host of new characters: the Mulefa, mysterious wheeled creatures with the power to see Dust; Gallivespian Lord Roke, a hand-high spymaster to Lord Asriel; and Metatron, a fierce and mighty angel. So too come startling revelations: the painful price Lyra must pay to walk through the land of the dead, the haunting power of Dr. Malone's amber spyglass, and the names of who will live - and who will die - for love. And all the while, war rages with the Kingdom of Heaven, a brutal battle that - in its shocking outcome - will uncover the secret of Dust. Philip Pullman deftly brings the cliffhangers and mysteries of His Dark Materials to an earth-shattering conclusion and confirms his fantasy trilogy as an undoubted and enduring classic.